Triton Stone now has 23 locations in the Southeast and together we are bigger, stronger, and better positioned to grow with you, our customers, in the future. At Triton Stone, we pride ourselves on offering the largest selection of natural stone and the highest quality kitchen and bath products. In addition to providing a variety of artistic, mosaic and floor tiles, Triton Stone is a leading wholesaler and distributor of granite and other natural stone products. We also offer TOTO and Delta fixtures, as well as many lines of kitchen, bath and specialty sinks designed for use with granite and marble countertops. *ORG Home Authorized Dealer* Since 1928, the Singer family has provided the New Orleans area with quality, value priced items for the home. Today, our experienced team of designers and installers are experts at creating kitchens, bathrooms, and closets that fit your lifestyle, taste & budget. From a simple refresh to a complete renovation, we can handle everything from cabinets to counters, appliances, fixtures and even the kitchen sink! You’ll have confidence, one point of contact, the option of 0% interest financing and the results you dreamed of all for less than you imagined. The Stone Shop is the South¹s largest in stock color selection for granite, marble, and travertine. We have over 500 different colors in stock for you to choose from! We specialize in beautifying your home with the elegance of custom kitchen countertops, vanities, and fireplace surrounds. Natural stone countertops and vanities add style and beauty to your home and make it a showcase that personifies quality, luxury and good taste. The Stone shop also carries a variety of all wood cabinets featuring soft close hardware at unbeatable prices. Whether you are remodeling or involved with new construction, durable stone countertops will make a beautiful addition to your home. We are a wholesale cabinet supplier. Call for free cabinet design! Tuscan Stone Imports is the most reputable importer of natural stone products in the Gulf South regions. Importing all types of natural stone including, marble, granite, travertine, quartzite, limestone and more. 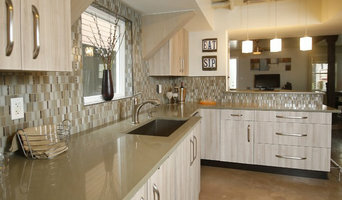 We also carry the quartz company Caesarstone. Tuscan Stone takes great pride in providing our clients with exceptional customer service and only the finest materials from around the world. Whether you are building a new home, renovating an existing home or simply want a new look, a design team is there to help. 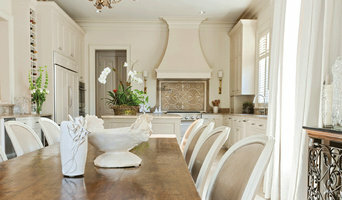 Let Tuscan Stone Imports bring your dream home to life. Tuscan stone is also the leading provider of natural stone materials for commercial projects. No job too big or small..
GNL Contractors has been at the forefront of fabricating & installing quality granite & marble with over 11 years of experience in the industry. We provide commercial & residential natural stone FABRICATION services for homeowners, interior designers, contractors & builders. Our main goal is to provide you with the BEST PRICE & CUSTOMER SERVICE through every step of your fabrication regardless of project size. We offer a wide range of services and products related to natural stone fabrication. Call us today for a FREE QUOTE! For more than 10 years now, DL Cabinetry in New Orleans, Louisiana, has been a leading manufacturer and distributor of top-quality kitchen cabinets, cabinet materials, and prefab countertops. Our cabinets are made by highly skilled craftsmen using only the world’s finest woods. We have warehouse facilities in New Orleans, Louisiana, and Boston, Massachusetts. Our New Orleans warehouse has been a leading source of cabinets for builders and renovators in the Gulf Coast area for many years. Shipping is available anywhere in the continental US and Canada. DL Space is a KCMA/ANSI certified, in-stock, pre-finish kitchen cabinet manufacturer and distributor since 2005. Distribution center available in New Orleans LA and Boston MA. We are licensed commercial contractor, specializing in meeting your needs for commercial multi-family projects and residential as well. Family owned and operated, we install quality granite, marble, and quartz. We offer start-to-finish solutions for every stone projects. Choose from a wide variety of sink options to compliment the natural stone you chose for your home. We also offer custom stone design services. We specialize in interior or exterior home stone works, including bathroom and kitchen installing, home additions, and more! *Authorized Mid Continent Cabinetry Dealer* Cabinets & Countertops Unlimited offers superior design, fabrication and installation of granite and marble including Quartz Stone Surfaces; CaesarStone®,Hanstone™, Silestone®, Viocstoe® and Cambria®. The CCU team has the capacity to meet your highest standards and toughest schedules, on time, every time. We take care of all of your needs so that your experience with CCU is as smooth as possible. Our team offers years of experience in the installation of countertops and cabinets from indoor and outdoor kitchens to baths vanities, fireplace and tub surrounds, table tops and more. We offer many manufacturers to fit out clients' budget and style! Our customer-oriented process ensures that you receive only the best in products and services, on-time and within your budget. We offer a wide range of style and color choices and work with you to help determine which products are most suited to your needs.